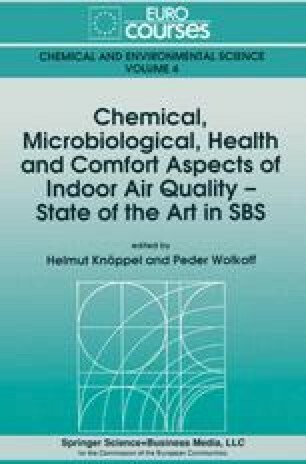 A wide range of organic compounds including aldehydes, VOC and VVOC have been shown or suspected to play a role as one of the multiple causes of the ’Sick Building Syndrome’. Methods for their measurement consist of a sampling step and a separation and identification step. Of these steps sampling needs to be designed according to the specific requirements of the indoor environment, whereas separation and identification methods are common to many fields of environmental analysis. This paper discusses mostly sorbent sampling, gives some information on whole air sampling and describes methods for sample transfer to the separation and identification equipment.